This newsletter would be fitting for a skin care company releasing a new collection of products. The interior of this newsletter lends itself to a successful display of various types of information. 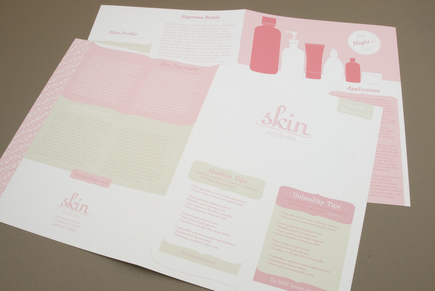 The clean, pink layout reflects an image of a company rooted in creating quality beauty products.